English Premier League outfit Arsenal have been able to hand central defender Zech Medley a new contract at the club. The 18-year-old has been impressive so far this season as he was handed a first team appearance in the Europa League and another in the FA Cup where he did not disappoint manager Unai Emery. Zech Medley was handed his first team debut in November last year when he came from the bench in the Europa League game against FC Vorskla away from home. His first home game was against Qarabag in the same Europa League where he also impressed and gave a glimpse of his potential to be a world-class defender at the Emirate Stadium. 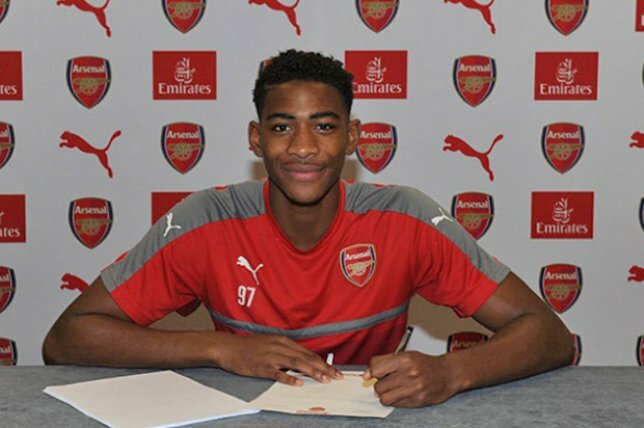 Speaking shortly after he signed a new deal, Zech Medley expressed his delight, noting that playing for Arsenal is a dream comes through because he has been supporting the club right from when he was a kid. He noted that he is enjoying the progress in his career but stressed that he will rather keep his head down and keep working to improve in his game. Unai Emery is hoping to hand more first-team opportunity to Zech Medley in coming days as long as he has shown the capacity to play. Leeds on the verge of signing Arsenal’s Zech Medley?